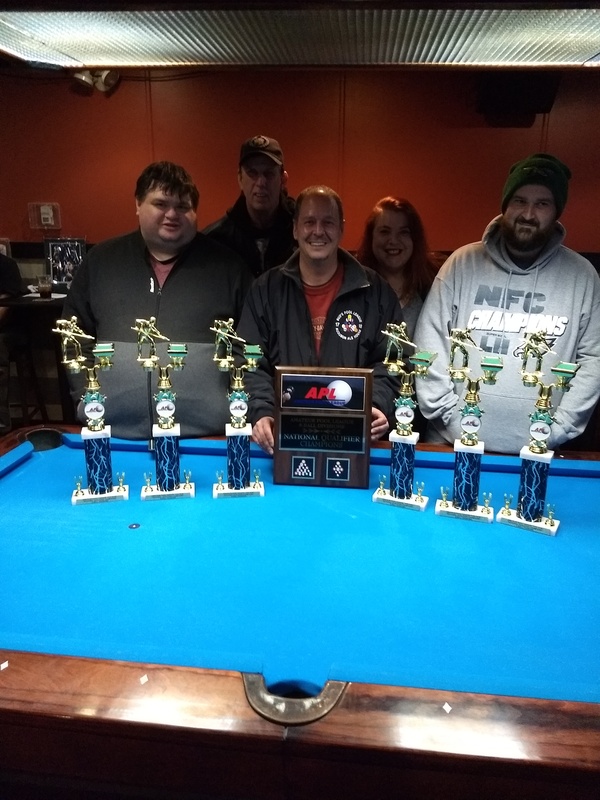 The Amateur Pool League (APL) is a call pocket league that offers a 25 point team handicap with individual handicaps ranging from 2-7. 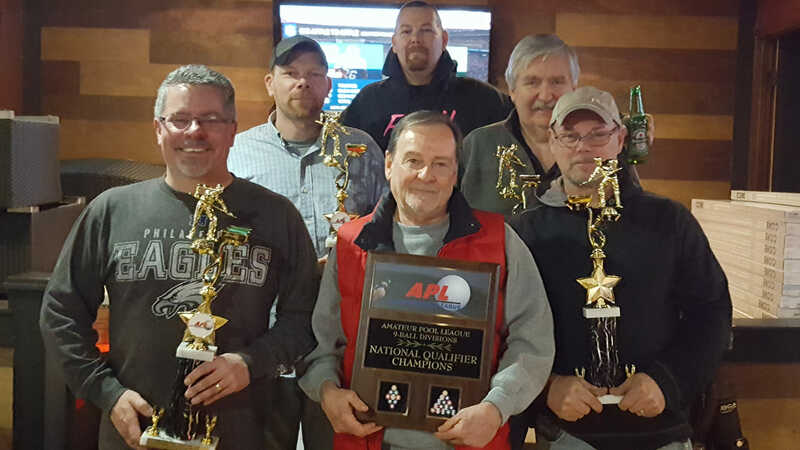 The APL offers a Vegas Qualifier after each and every session (3 times a year) in both 8-ball and 9-ball. 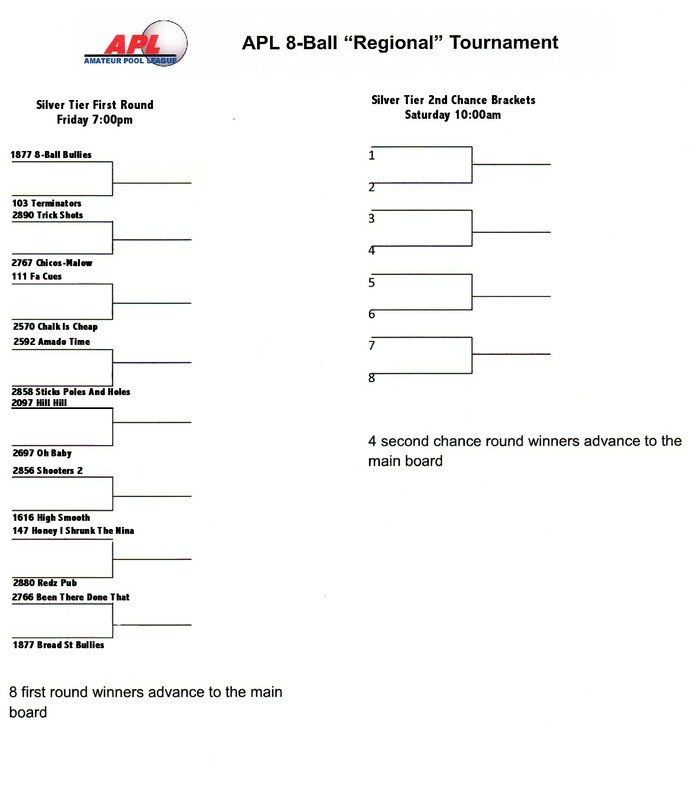 Best of all if you can’t make the trip to Vegas for any reason, you don’t lose out, you can take the cash! 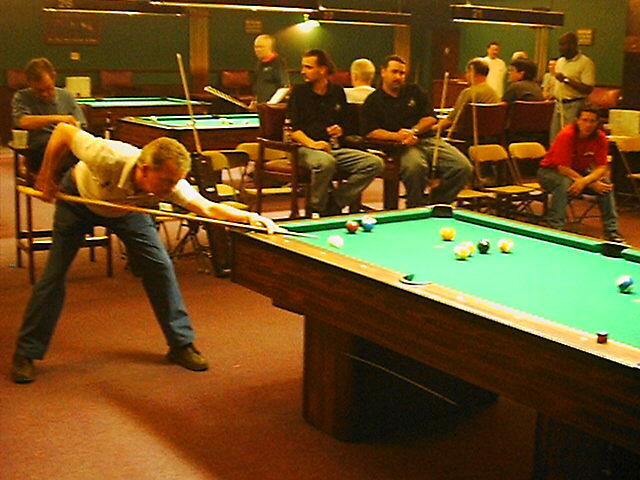 While the level of desire to compete is high, there are plenty of opportunities for beginners and players of any skill level who want to improve their game and at the same time have fun. 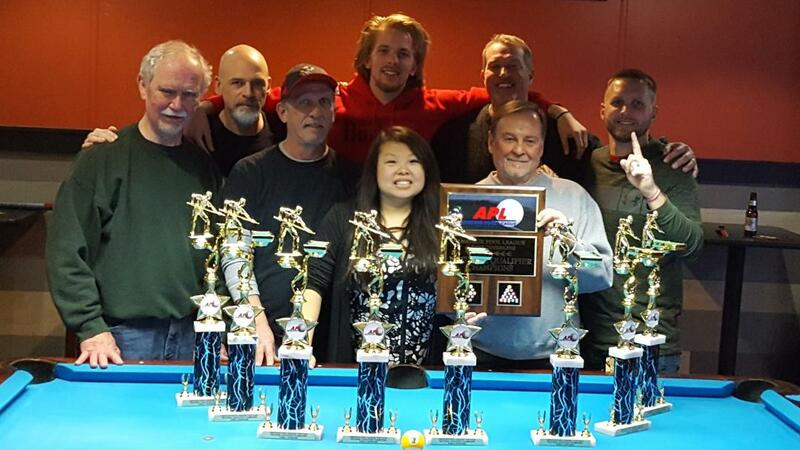 The APL has designed a handicap system which allows all players of any skill level to compete fairly against each other. 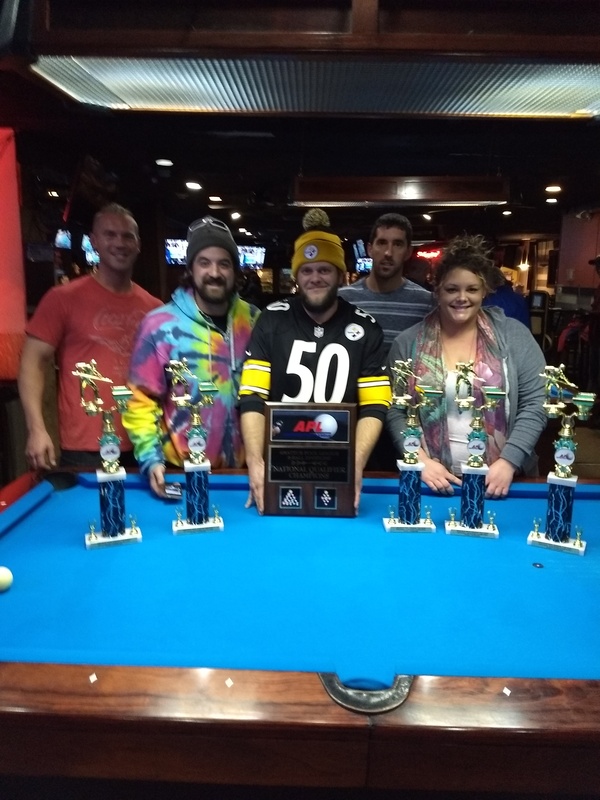 APL 9-Ball National Qualifier "Gold and Silver" Tiers December 7-8-9, 2018 at Appeteazers Bar and Restaurant and Downingtown VFW. 1st place- Ya Got Trouble. Gold Tier: We paid 8 places. 1st. place - Cayey Warriors, 2nd. place - McMenemy Post, 3rd. - 4th. place First Responders and Arecibo 2. Silver Tier: We paid 8 places. 1st. Place - Limited Edition, 2nd. place - The Untouchables. 3rd. - 4th. 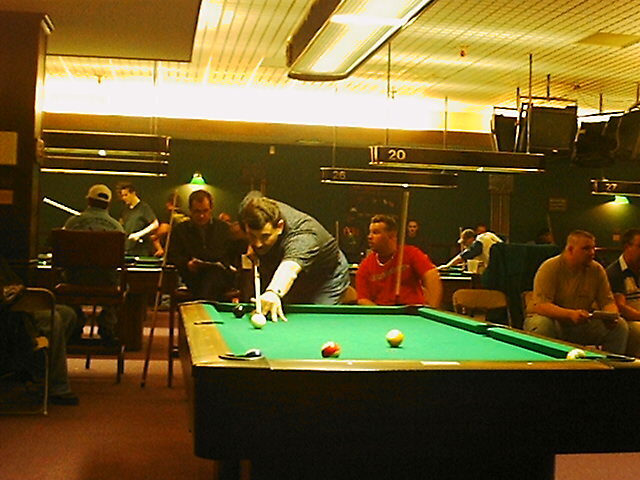 place Shut Your Mouth and Great 8 Pool Sharks. 5th. - 8th. place Honey I shrunk The Nina, What's Our Name, Can't Touch Us, High Smooth. 1st. place - Smoken Aces. 2nd. place Perky Shooters.